I have the fastest salad ever for you today and it is seriously a staple in my diet. 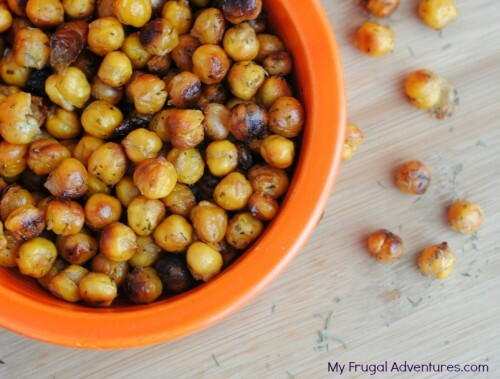 I love this salad for many reasons- it is very filling and packed with energy. It is so fast to put together- literally 10 minutes start to finish including making the salad dressing yourself. And most of the ingredients have a long shelf life so you don’t need to run to the store every time you want to put this together. So I find this to be a very filling salad, with lots of flavor and it gives me tons of energy to get through the day. 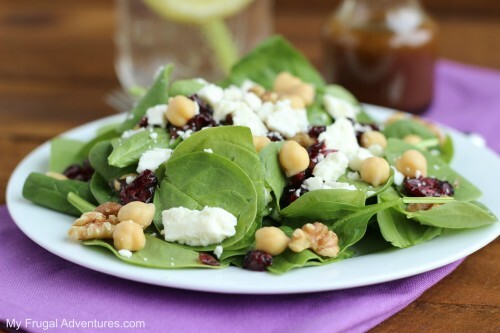 I use roughly 3 handfuls of Spinach, 1 tablespoon cranberries, 2 tablespoons of walnuts and about 1/4 cup of garbanzo beans. I like the blocks of fresh feta cheese you can find in the deli case and I usually just chop off about an ounce or so and chop it into small pieces to sprinkle over the top. If you have leftover chicken, you can also chop or shred and add that into the salad as well. Once that is done, I like a very simple balsamic vinaigrette dressing. I usually just mix this up very quickly in a mason jar and I pour it on top. 2-3 Tablespoon Balsamic Vinegar— this makes a more tart dressing. Use less if you prefer more oil. Put the lid on your jar and shake like crazy. Now pour over the salad and serve. I make this for lunch all the time and I often put everything into a mason jar and then keep the dressing on the side until I am ready to eat. I have made this many, many times in the minutes I have before racing to the gym. So I can promise this is a very fast and convenient meal. 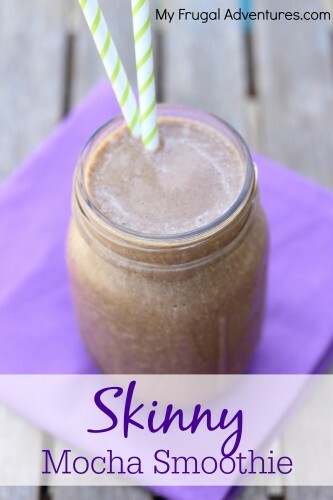 Or try this Mocha Energy Smoothie– I love these things and make them all the time. I eat this salad a lot!! It is so good, I put mandarins on mine too, you should try it! That sounds yummy Colleen and I have them in the cupboard. Will try it! 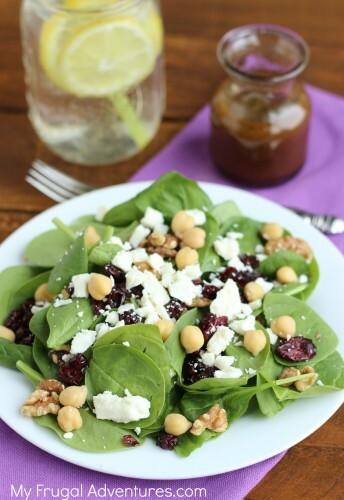 Trader Joe’s makes a really good spinach salad mix with feta cheese and walnuts and cranberries! It even comes with it’s own dressing! LOL! Darn! They snatched my power salad ;).